Now days, finish hobbing (which means that there is no post-hobbing gear finishing operation) is capable of producing higher quality gears and is growing in popularity. This article addresses some of the challenges that gear makers experience when they attempt to finish hob to a higher quality standard. A quality level that is higher than routinely expected in a production environment. 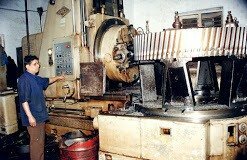 One would expect such a quality level as a result of a second gear finishing operation after hobbing, like honing, rolling or gear grinding. Gear grinding has legitimate reasons to be used post-gear hobbing to eliminate heat treatment distortion and have higher surface finish. In statistical terms, the hobbing process has not been generally regarded as capable of producing AGMA quality 9 or higher. Another reason for specifying a post hobbing process, which creates a distinct topology resulting from hob feed and enveloping marks. However these paradigms can be challenged today. The continuous improvements in machine, work-holding fixtures and hob quality combined with reliable QC procedures have steadily upgraded the statistical capability of the hobbing process. This makes the finish precision hobbing process worthwhile to consider for a wider range of gear applications with greater precision requirements. Also gear tooth surface quality variation due to gear generating marks can be minimized with the selection of an optimum hob feed rate and hob gashes. These surface variations due to generating marks can be so insignificant (millionths of an inch) as compared with other gear geometry errors that won’t be a concern for many gearing applications. 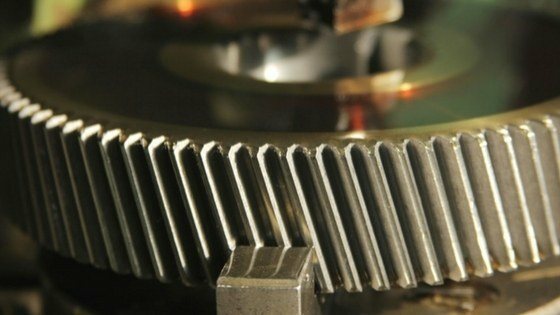 Gear hobbing methods can produce quality of AGMA 11, 12 or even higher in a production environment while the following factors are maintained. Machine rigidity is probably the most important factor. The machine must be mechanically and electronically "solid" to be able to withstand natural variation of cutting forces, especially in the beginning and the end of the cut. The workholding fixture is another frequent culprit that compromises the gear lead quality. Fixture geometric errors misalignments with the machine centerline and an inability to center the gear blank properly can increase lead wobble or lead taper. When gear makers are trying to achieve the best possible quality, they usually consider a one-start hob. If this is the case, neither the hob's mounting quality. the hob's inherent quality, nor the hob's sharpening quality have any direct effect on the lead characteristic. Thus, as long as the hob cutting edges do not dramatically deteriorate, hob geometric qualities are irrelevant for achieving good gear lead characteristics. Aggressive cutting conditions can. create excessive forces that may not be adequately absorbed by the fixture, thus negatively affecting lead quality. Also, as hob cutting edges wear, the cutting forces can climb considerably .. 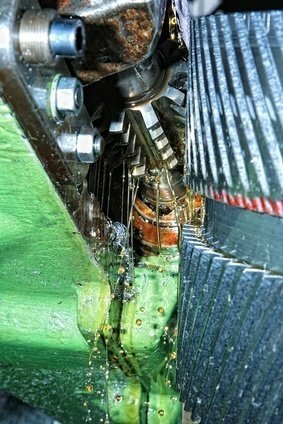 In addition, oil contaminated with chips can create an irregular lead roughness. The hob feed rate also has a direct effect on tooth surface variation in the lead direction-feed scallop depth. Frequently, people who finish hob gears want the scallop depth not to exceed a certain value.